Investigating a deer-poaching incident that lands him in deep trouble-with a broken ankle and multiple bullet wounds-wildlife conservation officer Matt Rider finds himself at odds with members of the renegade Pittman family, including clan leader Soldier Pittman. Rusty Barnes, poet and crime writer, grew up in rural northern Appalachia. He received his B.A. from Mansfield University of Pennsylvania and his M.F.A. from Emerson College. His fiction, poetry and non-fiction have appeared in over two hundred fifty journals and anthologies. Sunnyoutside Press published two collections of his fiction, Breaking it Down and Mostly Redneck, as well as a novel, Reckoning. 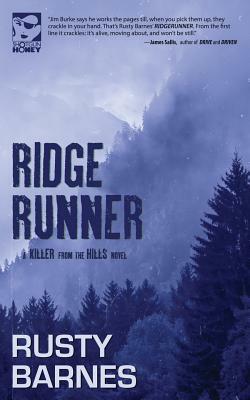 His eighth and most recent book is Ridgerunner. Forthcoming books include a sequel to Ridgerunner titled The Last Danger; a linked story collection titled Kraj: The Enforcer; and a novella titled Sunset Approaching. He edits a blogazine of crime stories and occasional reviews called TOUGH.